hey guys!!! I am back after a long hiatus... how many of you guys missed me??? Kakashi and Guy doesn't say anything. Both of them just looks on and hopes that the face revealed will not look like a familiar face. As the dust clears, a mask-less Tobi appears with a bloodied face. The whole face is crushed. Bee: Did you destroy his face Naruto?? Kakashi: I had a feeling it was you but how I wished that I was wrong. Naruto: Do you guys know him?? Guy: His name is Uchiha Obito... he was Kakashi's former teammate, the 4th Hokage's student and long thought to be dead..
Tobi: Obito... so that was his name. kakashi: what... what do you mean. Tobi: Hatake Kakashi, you are right. The body does belong to whom you called Obito but the soul belongs to Uchiha Izuna!!! The others cannot believe what has transpired. Tobi: And have you seen his dead body?? Kakashi; Explain everything... how did you get a hold of Obito's body??? Izuna: Very well... after my brother took my eyes, I became redundant. The few battles I participated made me a burden on the other members and so I was told to never fight again. An Uchiha who cannot fight--- that is just disgraceful. Thankfully, I had recently developed a body-switching technique and was in need to a vessel. Guy: So you took one of the villagers as a vessel? Izuna: No... infact I had taken over the body of an Iwa ninja who came with the Tsuchikage and his disciple. From then on, I had changed bodies countless of times until I had eventually found the body of a dead Uchiha member and eventually awakened the Mangekyo. Yes... I had also taken part in that war Kakashi!! Izuna: From then on, my plans went ahead full throttle. Zetsu came in very handy as part of the crushed body was replaced by his own constituent. Kakashi: That explains why the Kyuubi could be controlled with a mere sharingan and also how the Fourth had a tough time with you. Kyuubi: He is Izuna all right... the those two Uchiha brothers had and still has that menacing chakra. Naruto: Doesn't matter. 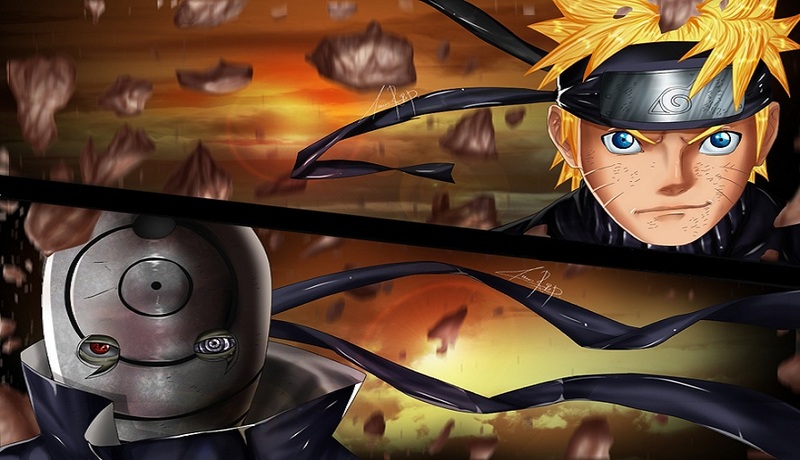 Izuna or Obito... you are the enemy of the ninja world. I WILL defeat you no matter what. Izuna: One rasengan hit me and you talk as if you people have defeated me?? I AM UCHIHA IZUNA... the fight is far from over!! !